This system is great for conference rooms, hotels, museums, churches, rental houses, manufacturers, etc. 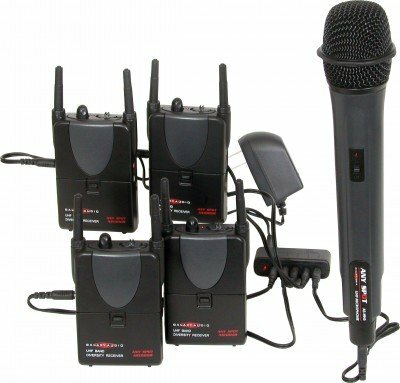 This system aids with hearing in loud or noisy environments, or allows a speech or presentation to be translated to another language and broadcast to listeners. This system can be used with the TVH2 handheld microphone or the TVBPT Pendant Style Body Pack transmitter. 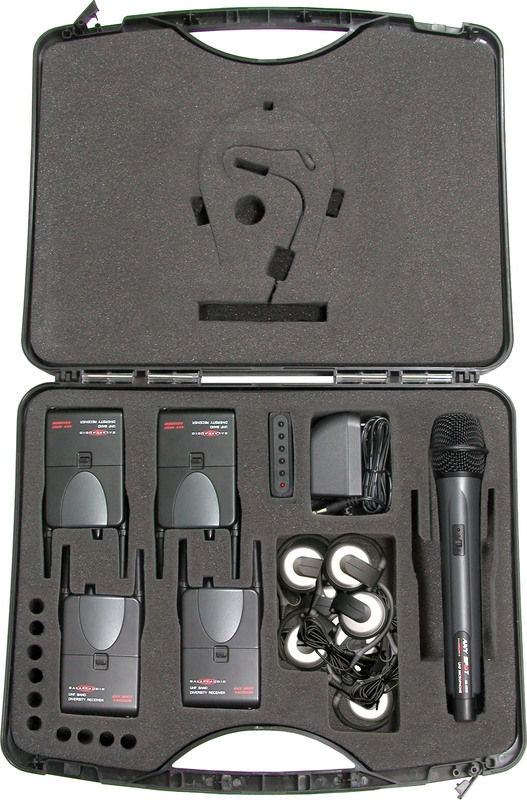 Body pack users also have the option of adding one of the great headset or lavalier options that Galaxy Audio offers. 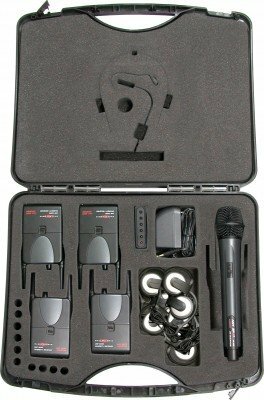 Plastic case holds up to 5 Body Pack Transmitters and/or Receivers. The foam insert is cut to securely protect each unit.